Big Band Library: March 2015 "Big Band News"
MARCH 2015 "BIG BAND NEWS"
in Modernism, and 7 more, plus A Study in Brown added as a "bonus" track. Twelfth Street Rag, and Farewell Blues. Cabaret, Meditation, and the bouncy Top of the Strip. Rhapsody in Blue and Rainbow Rhapsody, etc. selections are Happy Talk, The Sound of Music, and How Deep Is the Ocean. 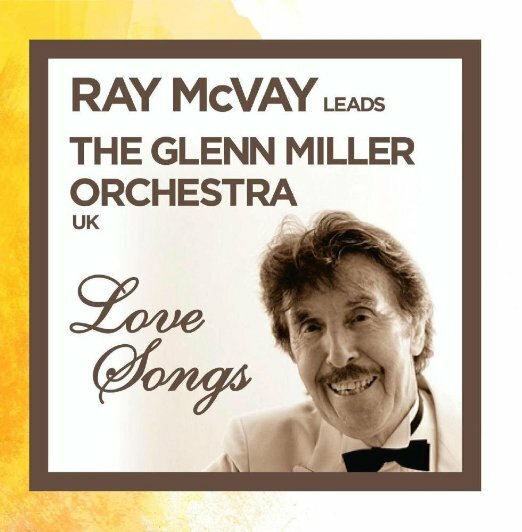 Ray McVay Plays the Frank Sinatra Songbook" on Shenley Records. 991. 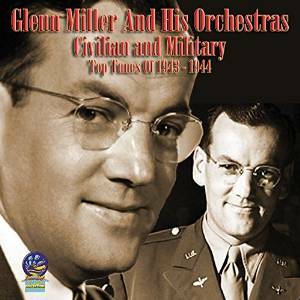 Shelton with orchestras led by Glenn Miller and others. CA; Mar 21, Visalia, CA; Mar 22, Cerritos, CA; Mar 23, Palm Desert, CA. Enid, OK; Mar 19, Horseshoe Casino, Shreveport, LA. Catholic School, Nebraska City, NE. 1973), released in 1999, and "Artie Shaw: Self Portrait," released in 2001. Mr.
Keepnews died just one day before his 92nd birthday. Cy Touff, b.Mar. 4, 1927. Trumpeter with Herman '53?-'56?. Red Callendar, b.Mar. 6, 1918. Bassist with Armstrong '37. Heinie Beau, b.Mar. 8, 1911. Clarinetist with Nichols '40; T Dorsey '41-'43. Bix Beiderbecke, b.Mar. 10, 1903. Cornetist with Whiteman '27-'29. Bob Haggart, b.Mar. 13, 1914, Bassist with Crosby '35-'42 / '58 / '85 / et al. Ina Ray Hutton ,b. Mar. 13, 1916. Leader of own band. Les Brown, b.Mar. 14, 1912. Leader of own band. Hank D’Amico, b.Mar. 21, 1915. Clarinetist with Norvo '36-'39? ; Crosby '40-'41. Sonny Burke, b.Mar. 22, 1914. Arranger for Spivak '41-'42; J Dorsey '42-'46?. Charlie Christian, b.Mar. 22, 1919. Guitarist with Goodman '39-'40. Jimmy Blanton, b.Mar. 26, 1921. Bassist with Ellington '39-'41. Sarah Vaughan, b.Mar. 27, 1924. Vocalist with Hines '43-'44; Eckstine '44-'45. Chummy MacGregor, b.Mar. 28, 1903. Pianist with Miller '37-'42. Ted Heath, b.Mar. 30, 1900. Leader of own band. Freddie Green, b.Mar. 31, 1911. Guitarist with Basie '37-'84. The wait for a great Phil Harris stereo album is over, and the series of CDs with Tommy Dorsey acting as a d.j. continues… next month. 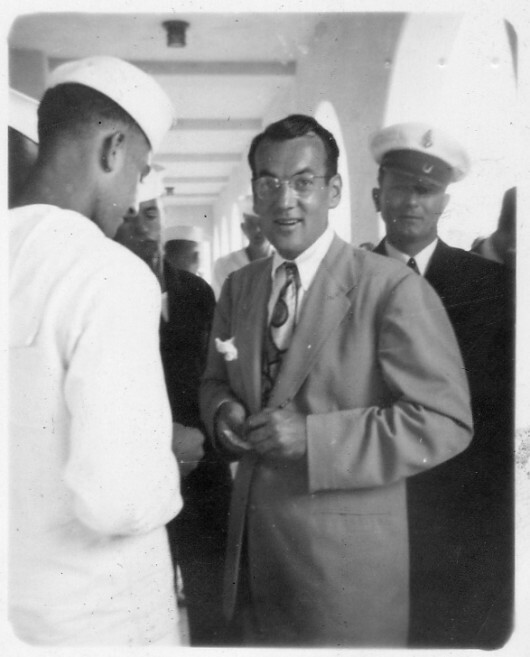 Glenn Miller visits the Naval Training Station in San Diego, CA in 1941. 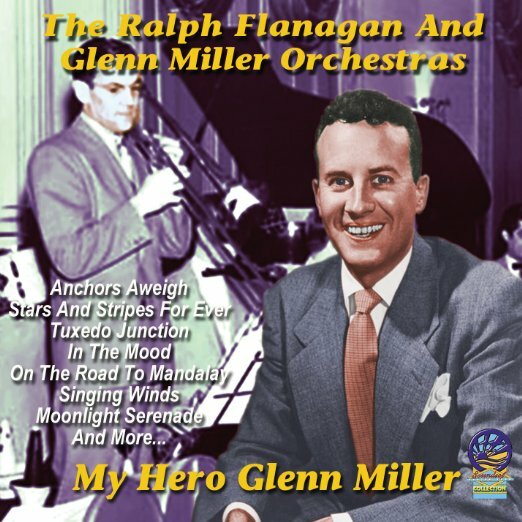 Not only are there a couple of new CDs of authentic Miller music in the pipeline, today’s Glenn Miller Orchestra will play more than a dozen dates in the U.S. and Canada over the next few weeks, and a number of former sidemen who were associated with the Miller music, including his pianist Chummy MacGregor as well as saxophonist-arranger Deane Kincaide and trumpeter Eddie Zandy from Ray McKinley’s tenure as leader of the Miller band, are remembered in memoriam.